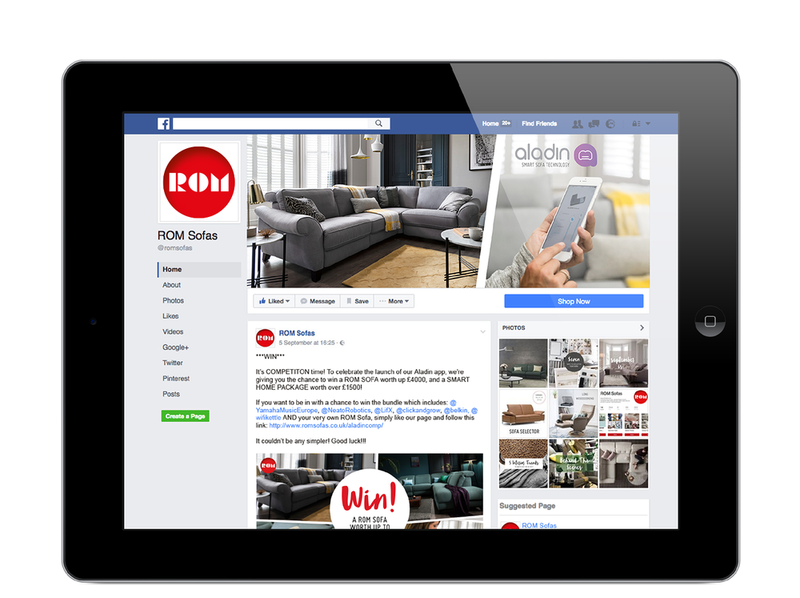 In order to support the company’s ongoing commitment to the UK market, In The White Room works closely with Belgian furniture manufacturer ROM to implement a comprehensive UK marketing strategy. Our aim is to support the growing UK market within a number of areas in order to ultimately increase brand awareness and recognition with UK consumers, retailers and the media. Our brand and marketing team developed a dedicated marketing strategy and a new tailored creative direction for ROM that is suited to the UK market to ensure that the brand is being supported through all areas. Everything that the team produces for the brand ensures that ROM is positioned as trend leaders within the UK interiors sector, through the eyes of both retailers and consumers. Supporting the UK marketing campaign, a tailored national advertising campaign was implemented to target key audiences and build on brand presence within the correct media and consumer circles. A new look and branding was developed and presented throughout new marketing materials such as in-store mini brochures and new point of sale concepts. 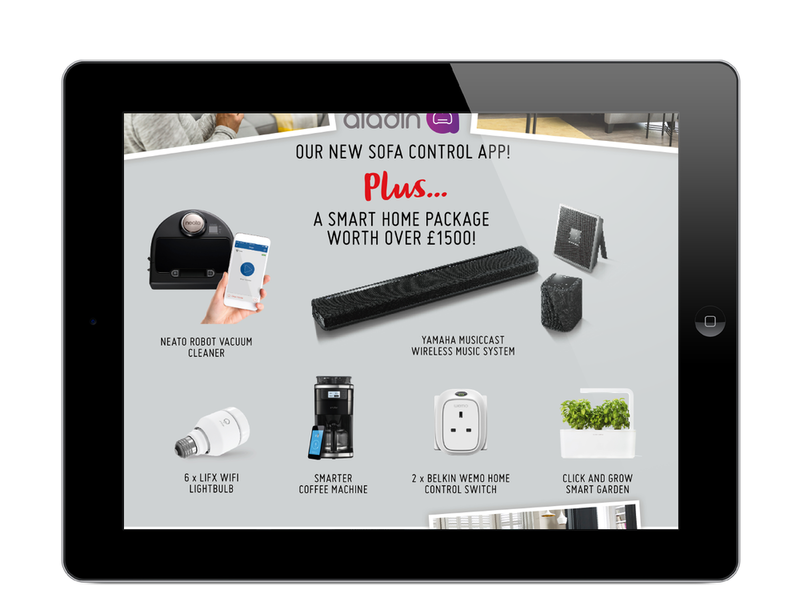 Showcasing the UK range of products and defining the ROM concept for a UK-audience, a new fully responsive UK website featuring a helpful UK-based retailer locater function and blog platform. Incorporating a number of different areas, In The White Room implemented a comprehensive launch campaign for the ‘Aladin App’. From new website content and video production to far reaching digital and social media campaigns, the launch campaign resulted in increased brand awareness and traffic to the website. Supporting the ongoing brand awareness strategy, a focused social media campaign has been applied across a number of platforms including Twitter, Facebook, Pinterest and Google+ in order to build brand recognition and engage in conversations with influential followers. In order to support the new website launch, an ongoing SEO campaign was specially developed to drive traffic to the new site and gain Google rankings overtime. Specially formulated blog content and dedicated sections detailing ‘How ROM works’ and ‘How to Buy’ are also updated on a regular basis and promoted through social media channels.